Sleep Deprivation Can Hit New Dads Hard : Shots - Health News New moms get a lot of sympathy over lack of sleep, but studies find that dads may be hurting more, a new book on the science of parenting says. Bottom line: Both parents need help getting shut-eye. A new dad may look like he's holding it together, but odds are he's pretty sleep deprived. 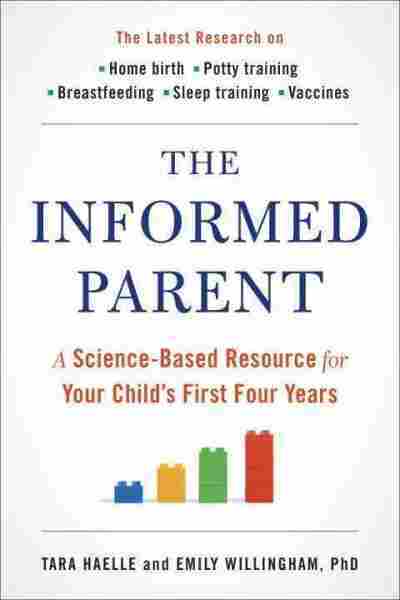 Editor's Note: This is an excerpt from the book The Informed Parent: A Science-Based Resource for Your Child's First Four Years. If you haven't experienced it, no simple description will capture the feeling of deep, dizzying fatigue that can accompany the first few weeks with a newborn. By the third child, Emily was wishing for an infant boarding school that could keep her son for those first few weeks of constant night waking and return him in a semiregulated state at about eight weeks. Well, not really, but the thought might have crossed her admittedly addled brain at 3 a.m. on several successive nights. You might think that mothers, being the ones with the breast milk, have it the worst. But science seems to indicate otherwise. For example, one 2013 study of 21 mother-father pairs enjoying their first infant experience found that fathers actually got less sleep than the mothers and experienced more confirmed sleepiness, as measured using wrist trackers. The study authors also found that even though the mothers got more sleep, their sleep was disturbed more often, which makes sense given their role in feeding. Both parents reported feeling about the same level of tiredness, but mothers scored worse on neurobehavioral testing (all those awakenings). Lest you think that maybe that study, with its small sample, was a one-off, a 2004 study of 72 couples during the first postpartum month also used wrist trackers and also found that fathers had objectively less sleep than mothers. Sleep was measured throughout the day, though, and the mothers appeared to play catch-up during daytime hours when fathers were unable to do so. by Tara Haelle and Emily Willingham, Ph.D.
Tara Haelle and Emily Willingham, Ph.D. The authors noted that work factors played a role in the level of sleep disturbance, which seems like yet another bit of evidence in favor of family or parental leave for both parents. Not unexpectedly, both mothers and fathers were tired, and both parents were a lot more sleep disturbed and fatigued during that first month with an infant than they were in the last month of pregnancy. The allure of the studies that include fathers is that much of the earlier research focused only on mothers and their level of fatigue. But a family with a newborn typically involves a parental partnership of some sort, and the role of the nonbirthing partner can be critical. And the sleep deprivation and fatigue of the nonbirthing partner go unrecognized by their birthing partner. A 2011 study of 21 new parent pairs suggests as much, and that this lack of recognition of sleep-deprivation problems goes both ways. Mothers overestimated how well fathers slept (the study looked only at mother–father parenting pairs), and fathers overestimated mothers' disturbed mood. In other words, the women didn't think the men were as sleep deprived as the men felt, and the men thought the women were moodier than the women felt. Just one more reason that a good partnership is key for surviving the stresses of parenting an infant. In fact, a 2009 review takes on the reasons for what the authors call a "robust decline in marital satisfaction across the transition to parenthood." The term "robust decline" sounds rather dire, and these authors point to sleep deprivation and disruption as having a role in this fraying of the partnership following the arrival of the bundle of joy. In addition to these short-term effects on function and mood and potentially long-term effects on partnership, sleep deprivation can have more acute consequences. Again, fathers bear the brunt. A 2012 study of 241 new fathers found that even though they got less than six hours of sleep a night — interrupted sleep, at that — they still worked "long hours." The fathers, completing a questionnaire when their infants were 6 and 12 weeks of age, were tired, and that fatigue seemed to feed into reduced vigilance about safe behaviors in the workplace. Without the ability to compensate for lost sleep during the day, these fathers simply rode out their fatigue while working. Mothers who stay at home also need relief, and science supports them in that. A 2014 cross-sectional study of women in Taiwan, for example, found that women whose daily housework duties were reduced experienced better sleep quality in the postpartum period. Of course, in special cases such as a mother recovering from a cesarean section, sleep deprivation can be even worse. One study comparing women who'd had cesarean sections with those who had vaginal deliveries found that the women who'd delivered by cesarean section got less sleep (4.5 hours a night) than those who'd had vaginal deliveries (6 hours a night). The study was tiny, with only six women who'd had a cesarean section and 15 who had had a vaginal delivery, and all of the infants spent time in ICU just after birth, but the results do suggest some extra support is needed for women who have had the major surgery that is a cesarean section. Twins are another special case, and not only because they change the parent-to-baby ratio from 2:1 to 1:1. Here again fathers take the bigger hit: In a 2008 study of eight parent pairs of full-term twins, the dads got less sleep, whether measured only for the night or for the entire day. The good news is that things got better over time. That's the message we leave behind here. In general, things do get better when it comes to parental sleep deprivation. But don't underestimate the dangers, especially in those early days. Studies have shown that sleepy driving can be as dangerous as or worse than drunk driving. Plus plenty of research links insufficient sleep to various health problems and to irritability, higher stress levels, and reduced patience, all of which can be dangerous for an infant if the parent is severely sleep-deprived. For those with a history of mental illness, sleep deprivation can cause relapses. Meanwhile, tend to your partnership, and if you have the opportunity, don't refuse to take family or parental leave if it's offered. And that includes you stay-at-home moms who want to do it all yourself. Let Grandma, uncle, aunt, sister, nephew, neighbor help if it's offered. Emily Willingham is a research scientist and science journalist, with a Ph.D. in biological sciences from the University of Texas at Austin, and a completed postdoctoral fellowship in pediatric urology at the University of California, San Francisco. Her writing has been featured in The New York Times, Scientific American, Slate, Discover and Forbes, among other outlets. Tara Haelle is a reporter and journalist who writes about health, science and evidence-based parenting. She has a master's degree in photojournalism from the University of Texas at Austin. Her writing has appeared in NPR, Scientific American, Slate, Forbes, Politico, Healthday and Everyday Health.